A man of Turnagain River, Alaska, 1778. Drawing by John Webber. 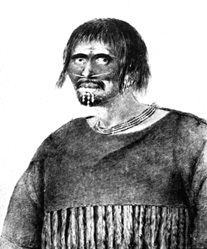 Man of Unalaska Island displaying labrets and nosepin. Drawing by John Webber.